The answer for large scale scrum implementation is [email protected]™. Scrum is fractal in nature and scales to any size which allows for context-driven solutions and for unique, customized Scrum implementations. [email protected]™ is scale-free architecure and tailors to the unique needs of your organization without introducing anti-Scrum patterns or unnecessary waste. The training is designed to teach the responsibilities of the leadership, the Product Owner function, and the teams themselves in complex contexts. [email protected] is a framework within which networks of Scrum teams operating consistently with the Scrum Guide can address complex problems, while creatively delivering products of the highest possible value. These “products” may be hardware, software, complex integrated systems, processes, services, etc., depending upon the domain of the Scrum teams. [email protected]® tailors to the unique needs of your organization without introducing anti-Scrum patterns or unnecessary waste. The training is designed to teach the responsibilities of the leadership, the Product Owner function, and the teams themselves in complex contexts. Dee Rhoda, CSP has 15+ years as an IT professional and 5+ years implementing Scrum and Agile practices. Her experiences transforming teams to Agile from sequential development methods have drivenher to work with persistence, optimism and passion for positive change. She is devoted to assisting others in achieving success. Dee is a Certified Scrum Professional® and a 2015 graduate of the Agile Certificate program from the University of Minnesota, College of Continuing Education. 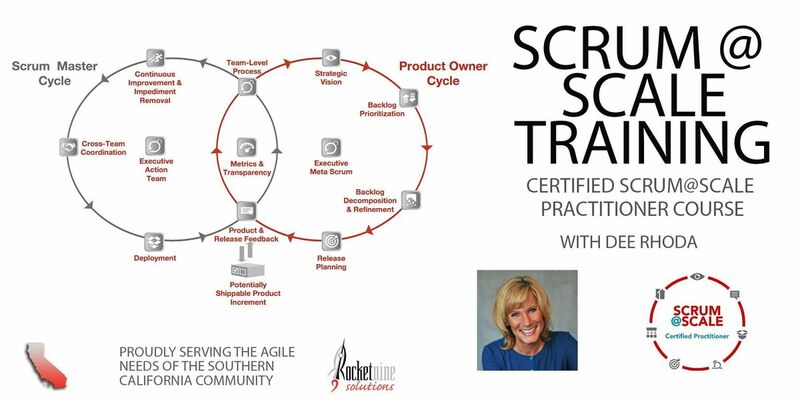 Dee is the second midwest trainer approved to train Dr. Jeff Sutherland's Scrum at Scale class. (Q) - Is Lunch provided? Lunch, snacks, coffee and drinks are provided both days. (Q) - Is parking included? Yes. Cancellation Policy - Reschedule to another of our classes anytime, or cancel anytime up to two (2) weeks before class for 100% refund. Fewer than two (2) weeks notice will result in a 50% refund to cover hard costs. For minimum learning experience, the course must run with a minimum ten registrants. If fewer are registered, the class may be cancelled more than two (2) weeks in advance, and attendees will be offered seats in the next Rocket Nine Solutions classes in the area or a full refund. Implied Media Release Policy - Please be aware that Rocket Nine Solutions (Scott Dunn, et al) may choose to record electronic and traditional media (e.g., photographs, video, audio footage, testimonials) at this event and attendees may appear in these recordings. By submitting a registration for yourself or someone else, or by attending this event, you grant permission for Rocket Nine Solutions to store those recordings in a database and to use them in future print, electronic, or other visual media for educational and promotional purposes. If you do not wish to grant permission, please contact the event coordinator listed below prior to attending the event. Please refer to our FAQs page and don't hesitate to reach out if you have other questions. 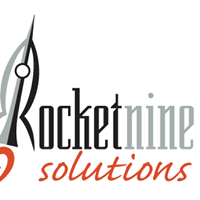 If you need assistance, please contact Cliff Rosa at cliff | rocketninesolutions ! com or call 714-699-4679.